Let's look at how teams must use speed and smart decision-making to create odd-man situations in order to create offensive opportunities. This play starts with the puck 200 feet away from the opposition’s net. NYI16 & NYI91 cross feet and fall in front of the NYR net and immediately – four NYR players jump into the rush with speed. Important to note that NYR18 – the third player is a defenceman and NYR73 is a forward who has beat his check off the wall and this created a 4v2 rush. NYR40 establishes middle lane presence with the puck. This forces NYI2 & NYI3 to stay narrow and protect the middle of the ice. NYR13 enters the zone wide pulling NYI2 outside the dot-line and creating space in the middle of the ice. NYR40 drives the middle lane into space behind NYI2 and this forces NYI3 to back-peddle. NYI3 is at a decision point – step-up to face NYR73? Or; continue to retreat backwards and limit passing lanes to NYR 18 & NYR40? NYR18 & NYR40 continue to drive to the net to the post on their side with their sticks available on the ice. NYR73’s low shot creates a rebound – effectively an indirect pass – and NYR40 puts the rebound into the net. 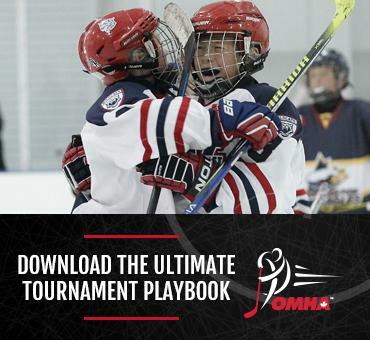 Watch the video again to see the importance quick transition from defence to offence and creating odd-man situations by having the 4th man join the rush and how defencemen must read when and how to jump in on the attack.